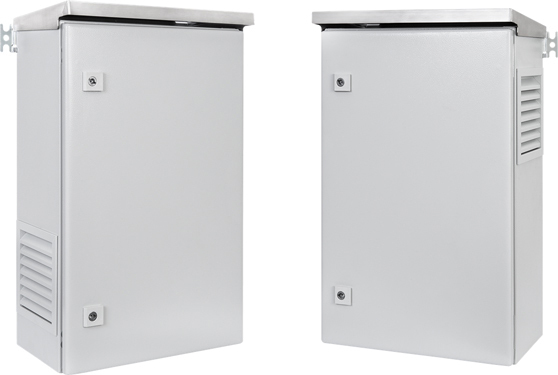 Electronic equipment mounted inside a cabinet generate heat that raises the temperature inside the enclosure. Over time, the ever increasing heat can cause sensitive devices to malfunctions. Additionally, heat accumulation can cause circuit breakers to trip which can result in system shut down. To prevent heat accumulation and to remove dissipated heat out of the enclosure filter fans can be used as an effective and low cost alternative. It helps to increase an operational reliability and a service life for enclosed electrical and electronic systems. Filter fans will cool enclosures to a level slightly above the ambient temperature outside the cabinet. To cool enclosure contents, the fans draw filtered ambient air into the cabinet. At the same time, the heated air within the cabinet is blown out an exhaust. The exhaust is also filtered which creates airflow resistance and a slightly higher pressure inside the enclosure. Vandal-proof Filter Fans series NSBon-19 are devised for mounting in cabinets and dissipating the heat building up inside the enclosure. Filter Fans are made in a vandal-proof housing and are available in three versions. 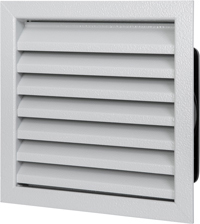 The NSBox Venting is suitable for all types of panels and enclosures.